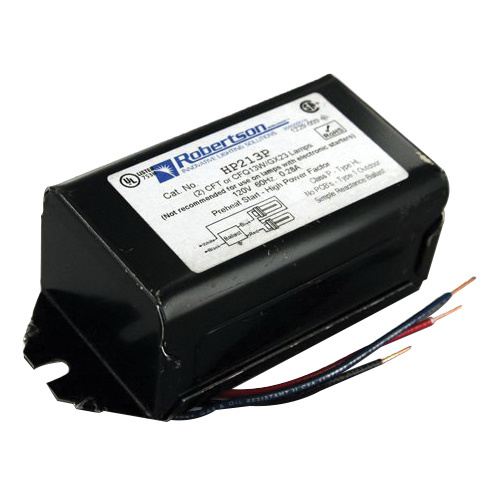 Robertson High power factor electromagnetic compact fluorescent ballast with preheat start, has a voltage rating of 120-Volts AC, current rating of 0.28-Amp and power rating of 33-Watts. It is compatible with two 13-Watt 2-pin CFT13W/GX23, CFQ13W/GX23 lamps. With 0.9 ballast factor, it has a power factor of >=0.9. 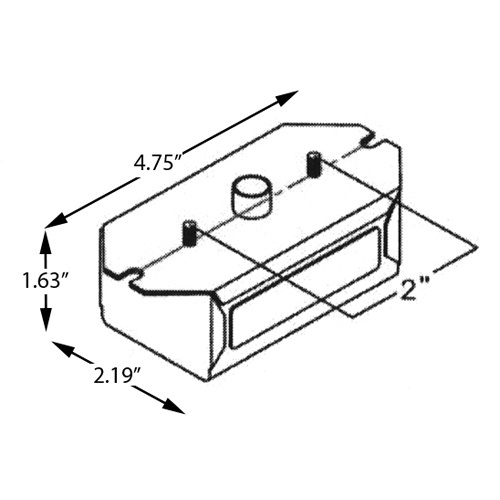 This 10-ft remote mount fluorescent ballast in white/black color, has NEMA 1 rating for outdoor applications. The electromagnetic compact fluorescent ballast meets UL 935 Class P, Type HL, Type 1, CSA C22.2 and RoHS standards.